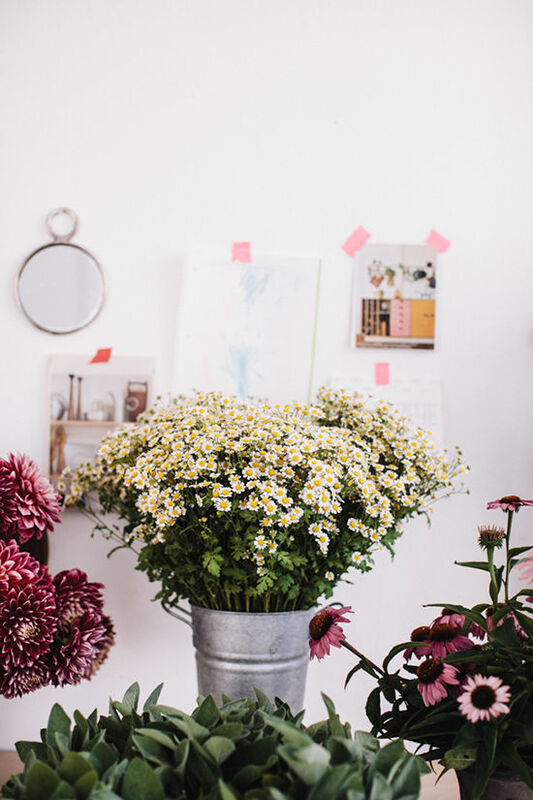 i love a good floral arrangement, they are basically instant happiness. i usually like to have a vase or two around my house with fresh flowers, especially if we are entertaining. it is the little things that count. my floral skills are basically cut the stems and throw in a vase so i thought it would be nice to learn a couple of tricks from a true professional. 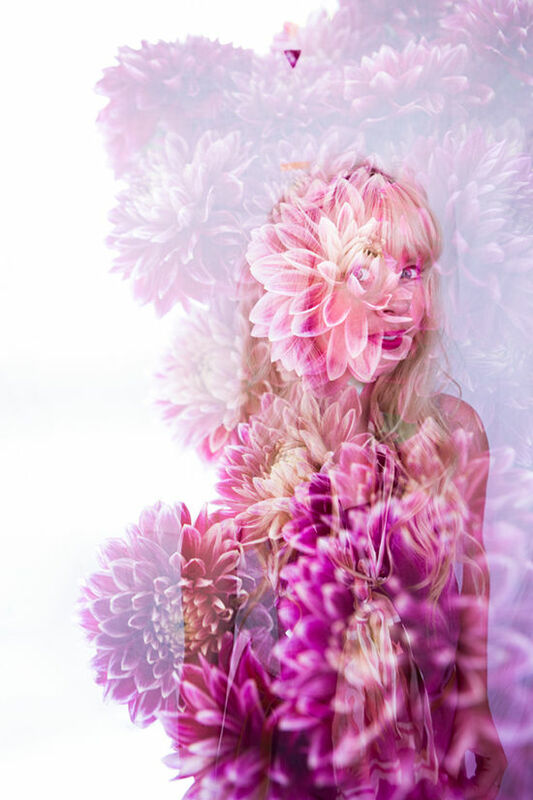 kristen owns moon canyon design co and is always creating arrangements that leave me saying, how in the world did you do that? 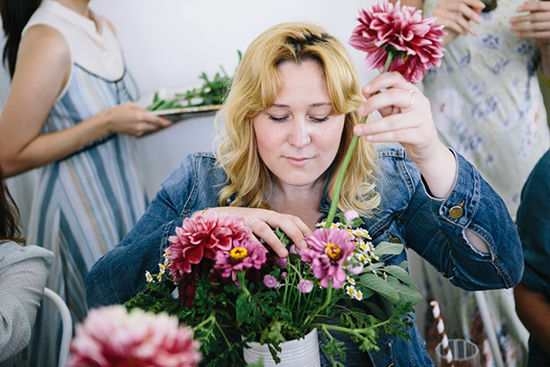 when domaine home approached me about what projects i had in mind that we might be able to collaborate on, i knew it was time to make the floral workshop come to life. i originally thought that i would make the workshop something simple but alas, that is never the case. it was a lot of work but turned out beautifully. it is always fun to see so many different vendors come together on one aesthetic vision. 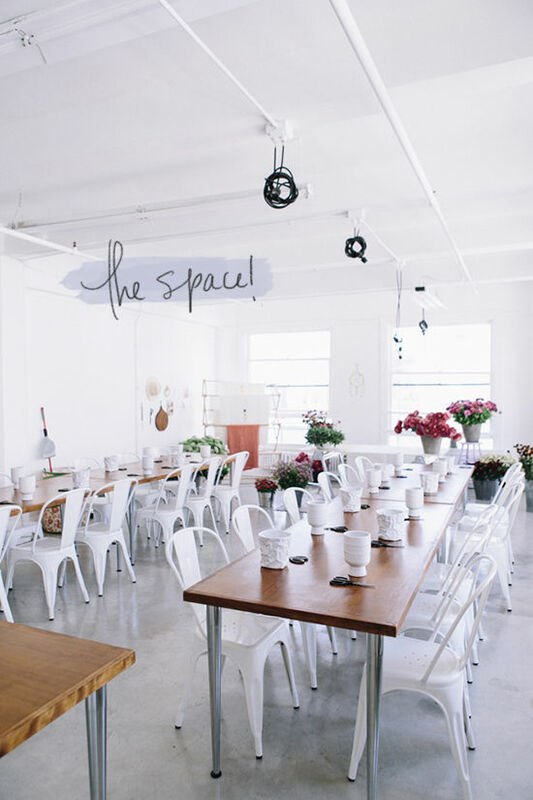 we hosted the event at rachel craven textile studio which is such a dreamy space. so much natural night with white walls and cement floors, i’d move in if i could. 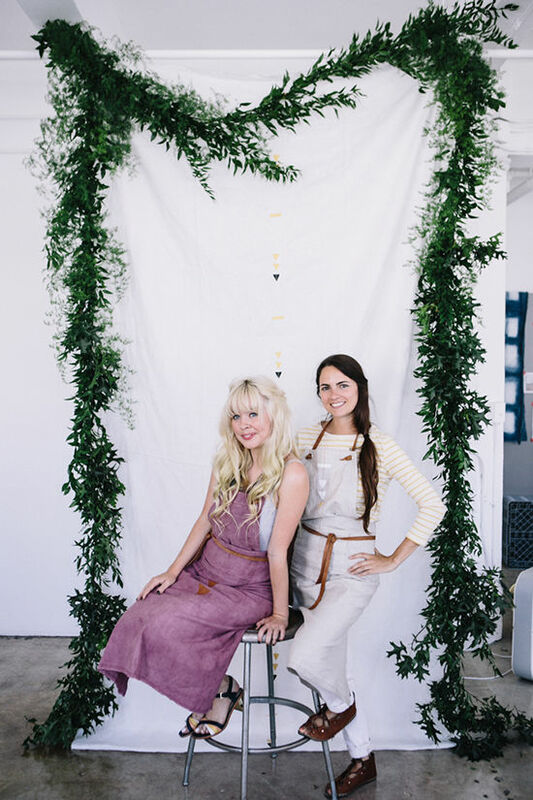 the linens (and the aprons that kristen and i are wearing in the first photo!) are handmade by rachel in this studio. she is insanely talented and hand paints the patterns on each one. yeah! rentals read my mind with those perfect white tolix chairs and teak tables. they always hook it up with their stylish furniture. the setup started early with all hands on deck. kristen woke at 4am to buy the freshest flowers, and we made about a million trips up and down the tiniest elevators with the rest of the goods. at 8am i promised myself to never do one of these again but by 11am i was wanting to do one every weekend – funny how quickly you forget the hard parts when it magically turns out just how you pictured it. 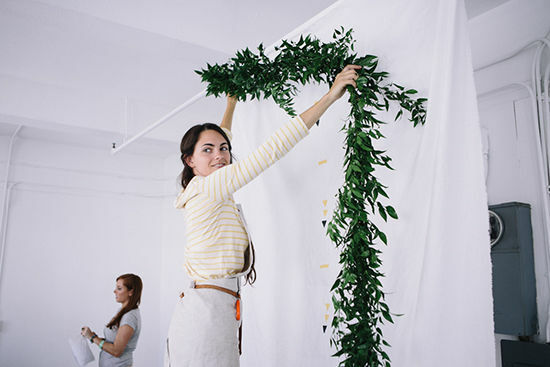 kristen made this gorgeous garland to make the frame for a photobooth where the students could take photos with their arrangements. we hung some of rachel’s linen as the backdrop. 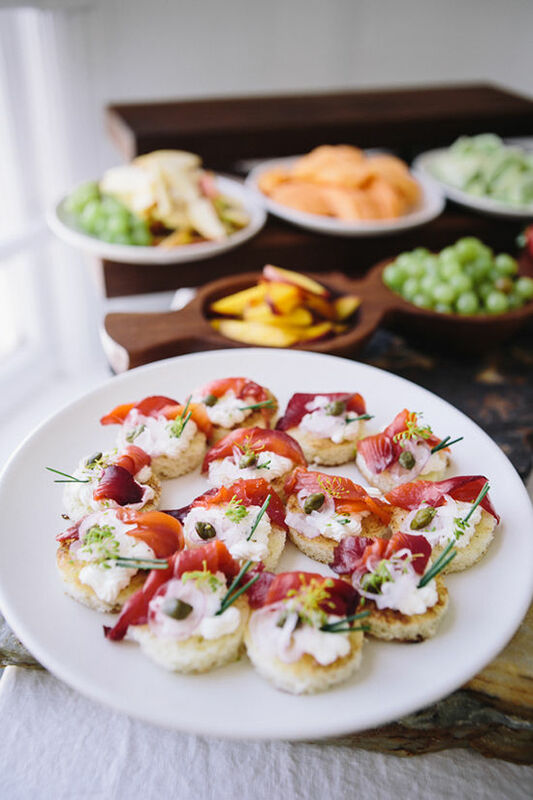 heirloom la created a phenomenal brunch spread for the event. talk about above and beyond with their creativity and attention to detail. i mean, come on heirloom. heath ceramics, found stones and pretty packaging made the display on another level of awesome. i am always one to vote for mimosas on the weekends, especially before noon. 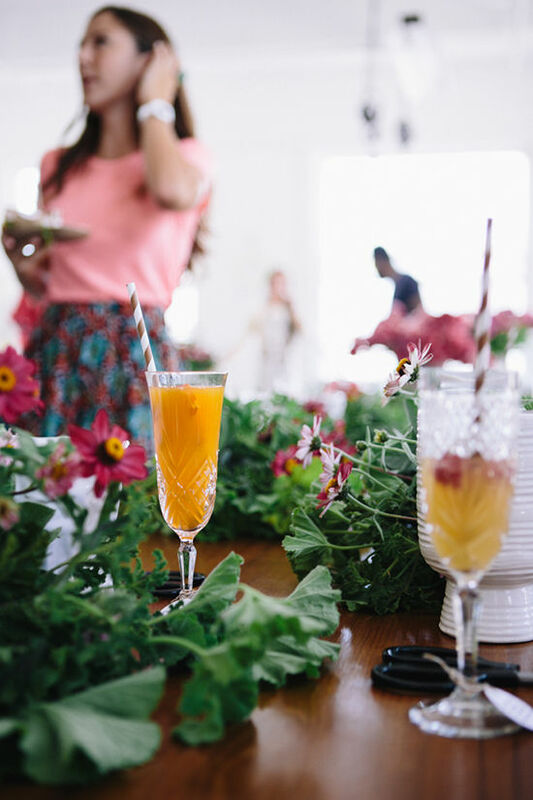 onehope weddings delighted us all with their mimosa bar. fresh squeezed juices, berries to muddle in your glass and striped paper straws to top it all off. one of the coolest things about onehope wines, other than the best mimosa bar, is that they donate 50% of all of their profits to a non-profit organization. nothing like a drink that gives back, eh? and of course there is casa de perrin! they provided 30 different vintage crystal champagne flutes. we love using their glassware for our events because they are so unique. remember this one?! 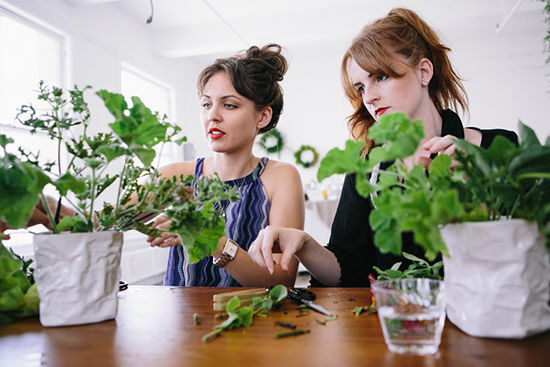 kristen taught the class of 25 how to create a tabletop arrangement pretty enough for any dinner party. 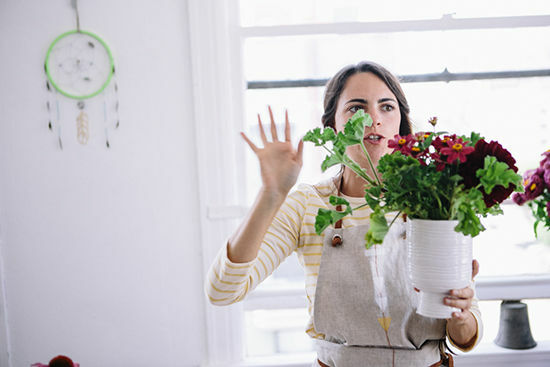 helpful tips like selecting a vase that is half the size of your intended arrangement and building your flowers in an asymmetrical shape were among some of the advice she shared. she walked the students step by step through the arranging process and explained the purpose of every flower and trick. it was so much fun to see how each student varied their own arrangement. they each had the same flowers and vases but everyone’s was slightly different and unique to them. arranging is definitely a process with no step skipping allowed. the small adjustments made a big difference in the end result. all in all, it was the perfect way to spend a saturday. i left the event feeling more sure than ever that designlovefest needs to start hosting more events. they always end up being the best time and all of the work it always worth it. i’d love to hear your thoughts on what events you’d like to attend or what new skills you are looking to learn. let’s get these going! oh! did you see our new studio?! i am pretty sure we are moving in, which means EVENTS IN THERE! 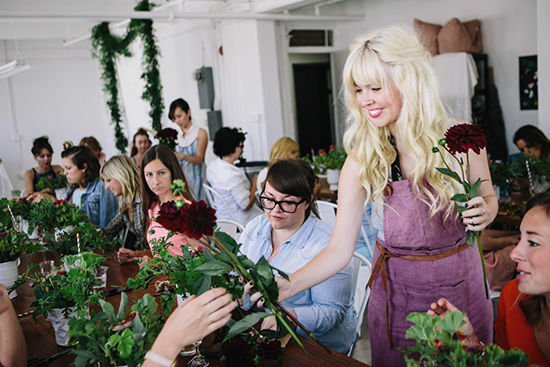 Do you think you would host another floral workshop? Or…something related to paper…? Your workshops always look so fun! I so wish I lived closer!! It looks so lovely! Please do one of these workshops in NYC. I would love this and know a couple other people would definitely be into it as well. All of the arrangements look wonderful!!! I love this! It looks so fun and beautiful. I’ve been seriously looking forward to this post!!! SUCH a great idea. 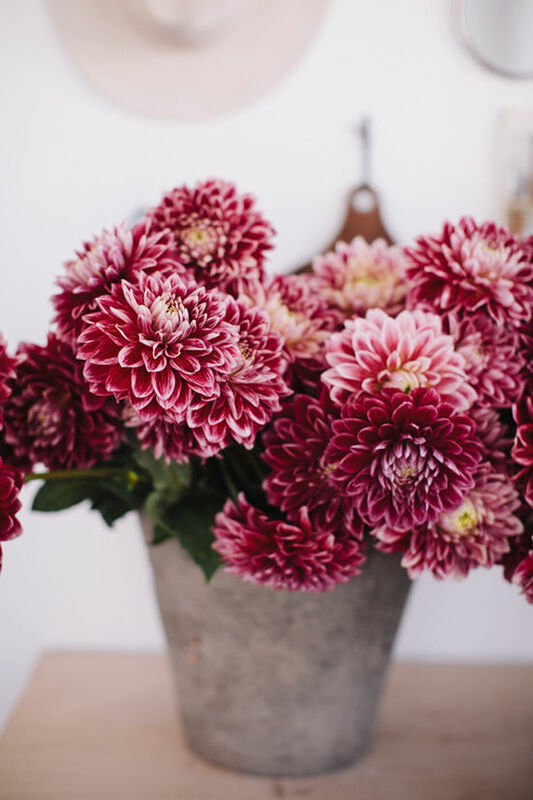 Flower arranging is so gorgeous and seems like something that could be attainable to do… you just need to know the master tips and tricks. What a fun day! 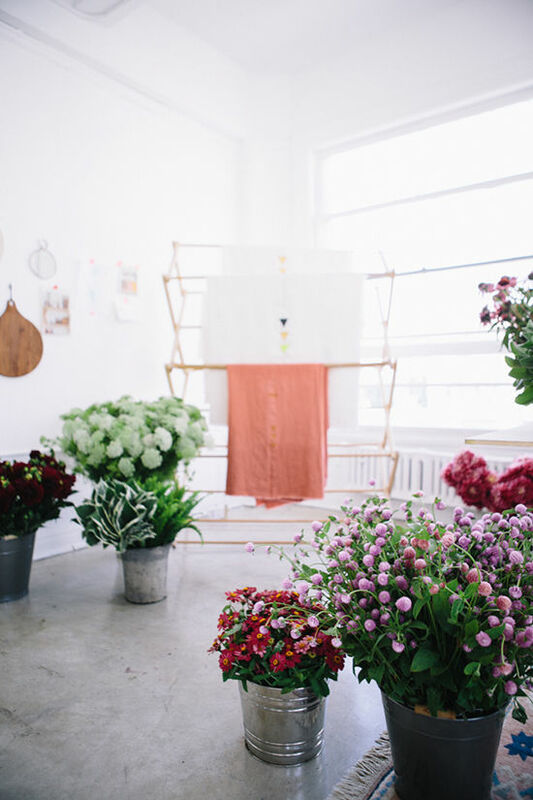 Such gorgeous blooms and I’m LOVING the even space! What a wonderful day. oh my goodness bri you always put on the most amazing events! 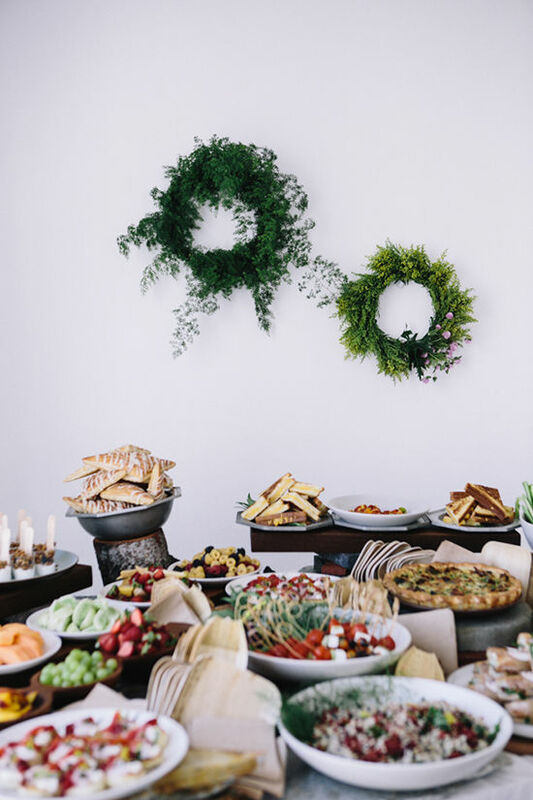 the whole layout is gorgeous, but the food spread is just beyond! 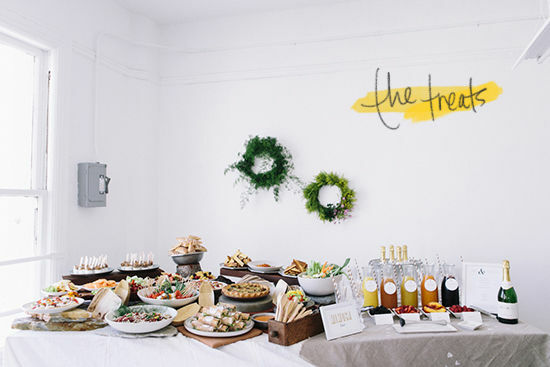 what a gorgeous set up — and I especially love the mimosa bar! o wow, it looks amazing. This is basically my dream Saturday!!! 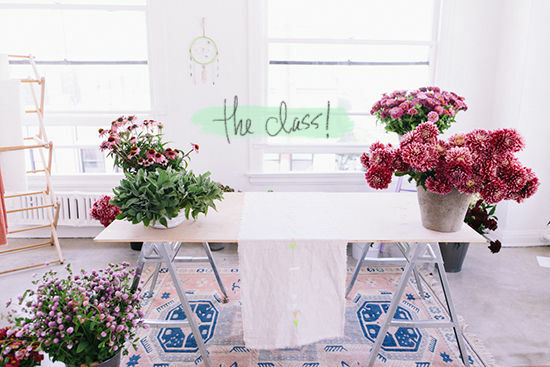 I need to take a class like this now. 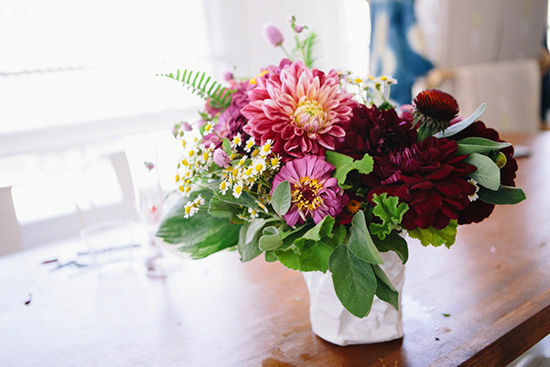 Having gorgeous floral arrangements = excuse for hosting get-togethers. 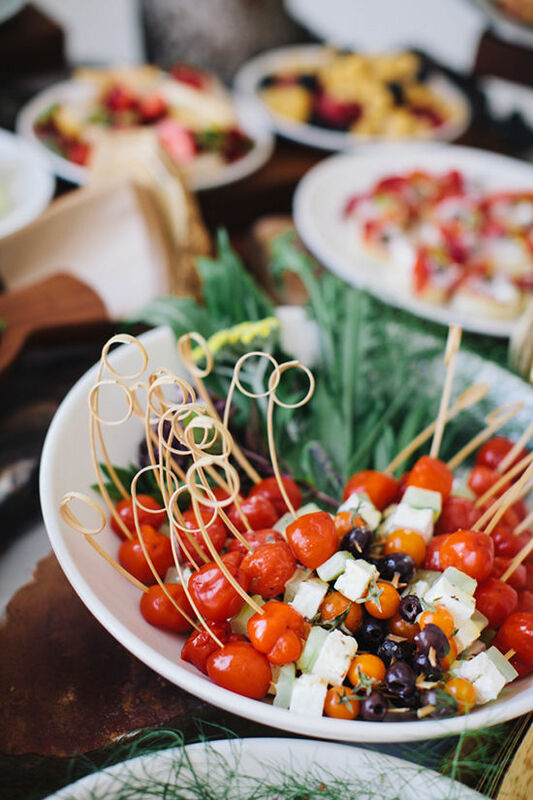 I’ve been reading your blog for quite some time and always LOVE your event hosting posts. 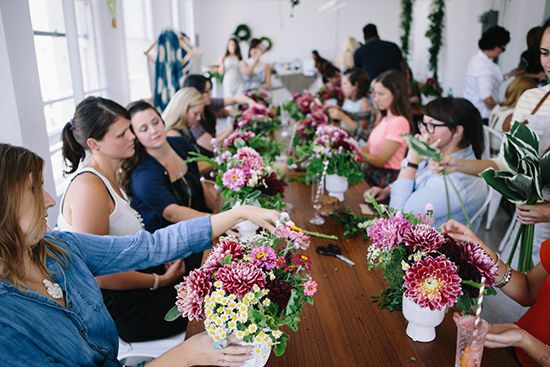 Looks like so much fun & so cool for a bunch of creatives to get together and make pretty things. I’m always on the lookout for workshops and bummed I missed the announcement of this one. these photos are BEAUTIFUL! the lighting! sigh. 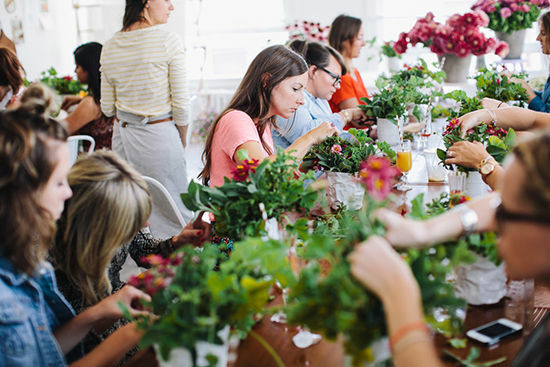 if i lived near LA i would have definitely attended this workshop… how fun!! yes, please host more!! 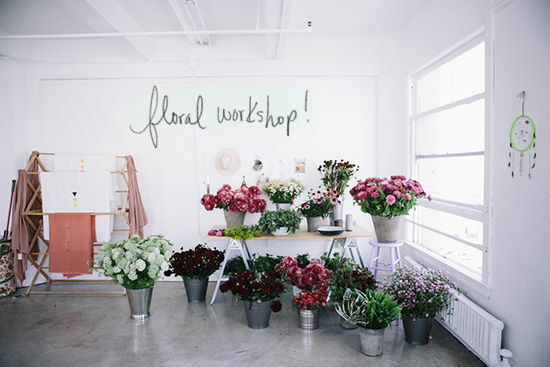 Another floral worksop please! I’ll definitely attend that one! This looks incredible Bri! You’re workshops are always top notch. And how cute are you in that second photo!!? xo. A sewing class – the basics, or more if possible. I haven’t been fortunate enough to take Blogshop yet, so maybe you already do this – but what about a photography class/sessions. Creative Writing Class. Cooking class; specifically for more healthy options, using food from the farmers market, things like that. An inspirational class, maybe having a motivational speaker, or someone like yourself who created something and just went with it, the how, why, etc. ps. I really love your blog. You are so wonderful and literally full of light. I love your honesty – you should never doubt yourself, cause what you do and create is beyond amazing – you should really be proud of yourself; always. This looks like it was so much fun! Wish I lived in LA, I would totally come out! Each of the DLV events you’ve shared on the blog have seemed to be incredibly inspiring and thoughtfully put together – you should host more!! Then share all the lovely photos 🙂 Best of luck with the new studio space! Yay! i’d sign up for this workshop in new york in a heartbeat! Awwwwwe, thanks for all the love, Bri. You always host the most beautiful events. Everything about this is perfect, her shoes, the aprons, the photo booth, the decor and my god the food!!! Oh My God, that’s looks amazing! 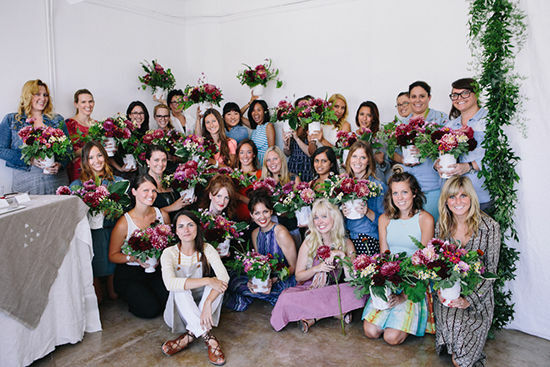 when I saw your instagrams as this workshop was happening, I was so bummed I wasn’t there – so please do another! I’m so in. Love it! A make-up tutorial class would be fun. Maybe cocktails/mixology? Oh wow this is just to fricken pretty! Can you please come back to Sydney? Wow! That space is gorgeous and that food spread. Seriously awesome. please bring this to Mpls!!!!!!!! I WOULD DIE FOR THIS. love love. 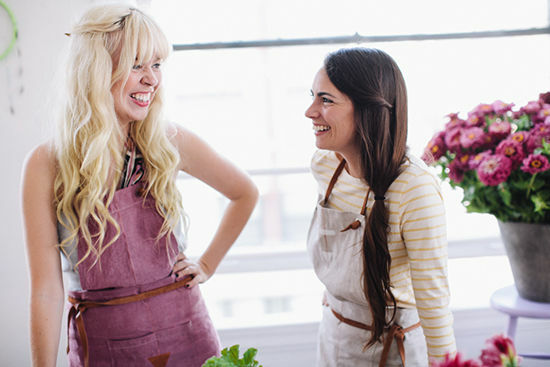 Any chance you’ll spill on how to get myself that lovely violet apron?! Looks like such abrilliant event. 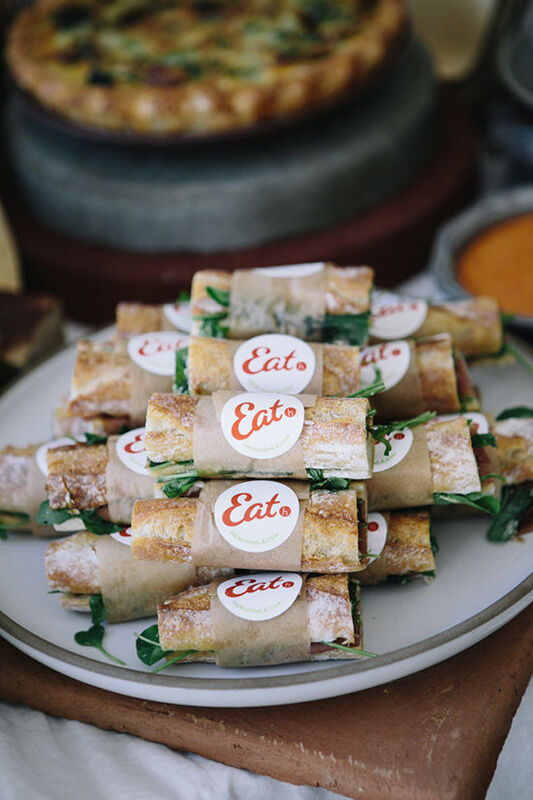 It’s those little touches like the mimosa bar, garland photobooth, and delicious spread that make me wish I lived closer to the DesignLovefest HQ! Oh my gosh this is incredible! I want to come next time!!!! 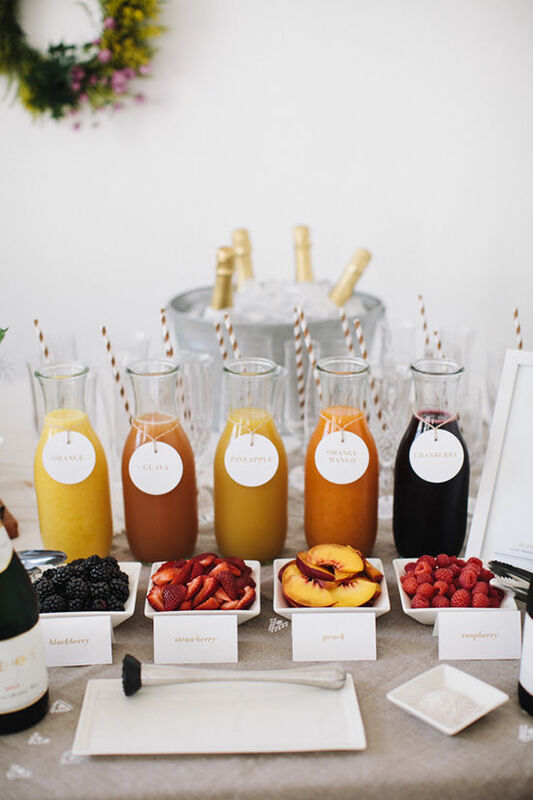 In love with the mimosa bar idea. I am throwing a party soon JUST so I can borrow this idea. A guide includes information about the leading social media sites. Look like a unforgettable experience!!! Hi,I have posted a picture from your site. It is the one of you with the flowers in front, mostly in pink/purple. The reason for this is because I thought it was a picture of my daughter. I was amazed as you both look so alike in this picture. Please find time to go to my Pintrest site Jill Platt (Australia) or log onto my daughters shop http://www.ladypetrova.com.au and check out her photo’s too. Also I see you are amazing with flowers and I love the concept of your shop. 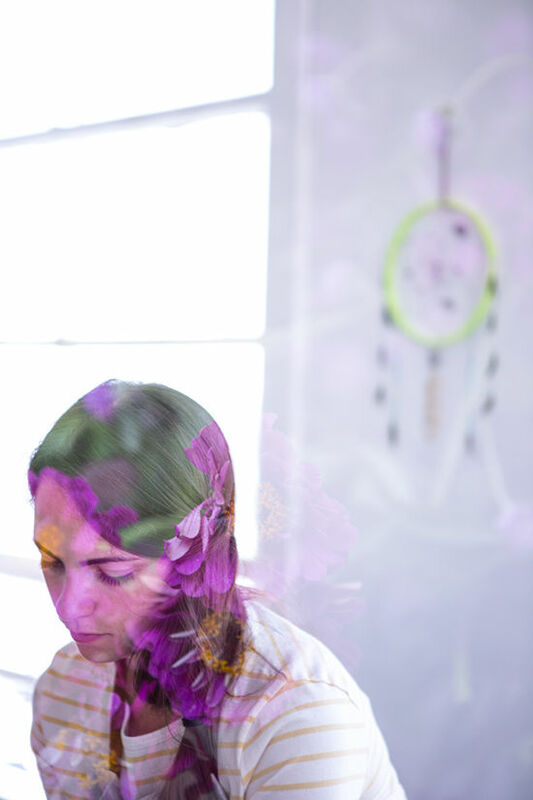 I am also a ‘flower’ girl having made Flowers Crowns exclusive to my daughters shop in Melbourne. I am not trying to sell anything, I was just fascinated with how much that photo of you looked like my daughter Petrova. Go have a look I think you may raise and eyebrow too.